Dubai’s dunes are a must-see, and taking an organized tour is the easiest way to see them and enjoy an obligatory dune bash and desert dinner to boot. This trip covers the bases: a 4x4 bash in some of the UAE’s highest red dunes, plus sand boarding and camel riding, and finished with a desert camp dinner and live entertainment. Optional quad biking (additional cost) is also available for extra adventure. Just an hour from the city, Dubai’s desert offers a spectacular backdrop for an outdoor adventure. 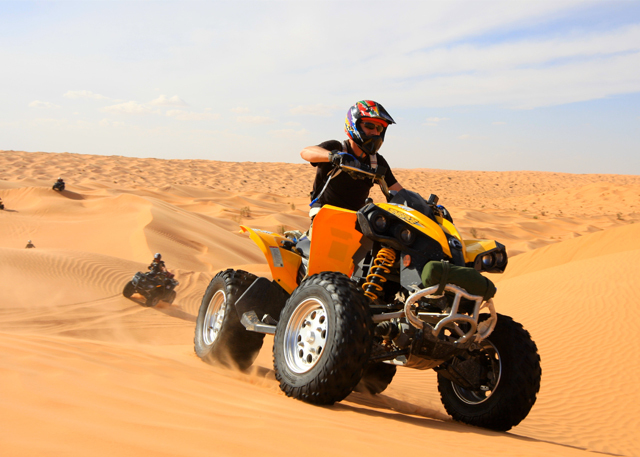 On this tour, zip through the desert on an ATV (quad bike) and enjoy an exhilarating dune bashing excursion. 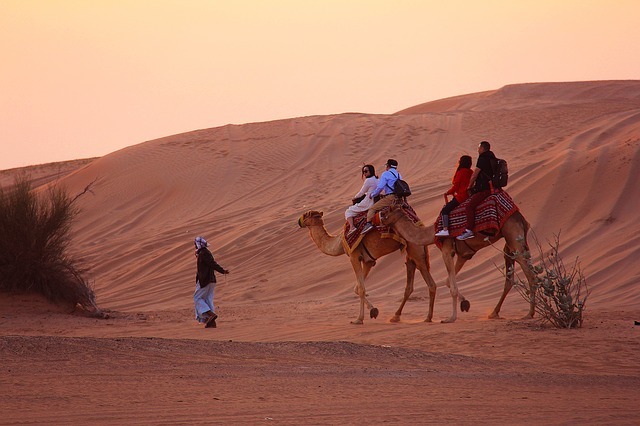 Afterwards, visit a desert camp where you can ride a camel, enjoy belly dancing and tanoura dance entertainment, and tuck into a delicious BBQ buffet dinner as the sun sets over the desert. If you love an adrenaline rush, and want to get out to the sand dunes of the Dubai desert, you can easily fit this morning desert safari into your travel schedule. A Land Cruiser picks you up from your hotel for an adventurous drive through the high red dunes. 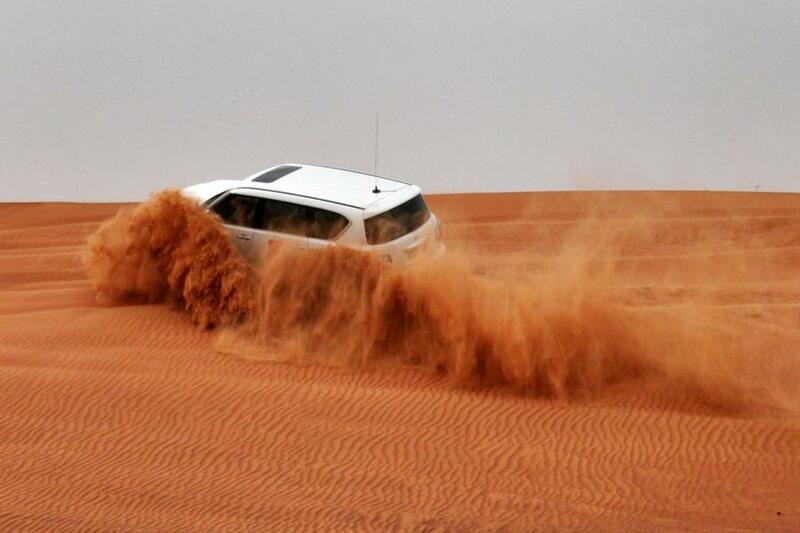 Enjoy the thrilling roller coaster experience of dune bashing, and stop for photo opportunities of the desert beauty. 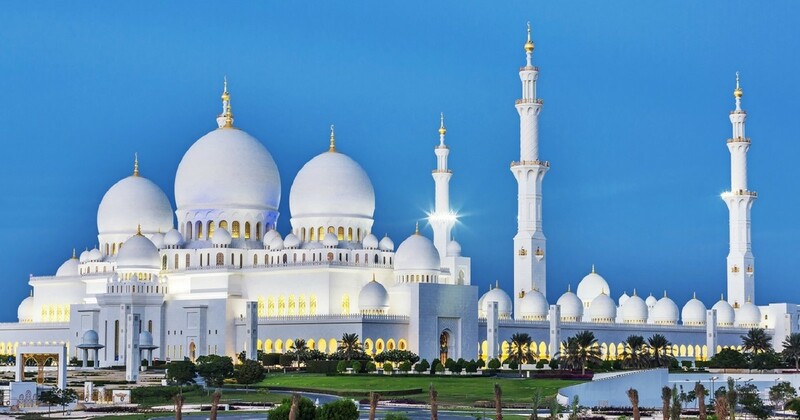 Experience the best of Dubai and get a great deal with this package tour. Don’t worry about transportation; both morning and evening tours include round trip transport from your hotel. See the real Dubai, from its modern cityscape to its ancient roots, on a morning city tour. 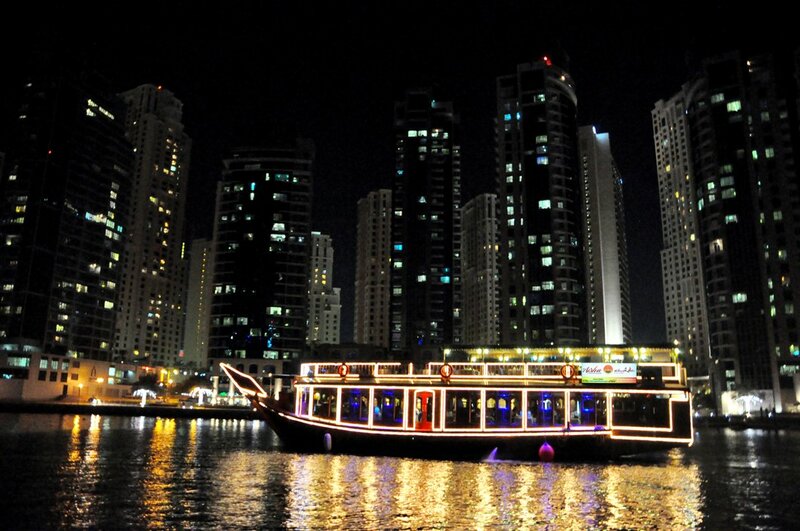 Rest up in your hotel before your evening adventure cruising the river while enjoying a buffet dinner.